Welcome to some Cutting Cafe Inspiration! Today we're playing with the Fun With Rosettes file! I had a lot of fun with this one! I used some pretty Prima October Moon papers... they're from last year, but you can probably find them on sale somewhere if you love them as much as I do! There are a few sizes in this file as well as some different designs! I created two rosettes in the 3" and 2" scallop designs and two in the 1.5" size... one with the little holes around the outside and one without. I just pulled the svg file into my Cricut Design Space and resized according to the directions, attached and cut them out in the papers I chose! I love using paper pads for projects like this because you can really mix and match the different design papers and they always look good together! I used a variety of glues for these... some Nuvo glue to put the rosettes together; some chunky glue dots and score tape to layer my rosettes and attach them to my stick, and all of the above and some liquid glass to attach all the little pieces parts and embellishments. I bought this ribbon in the Cutting Cafe Shop! It's in the Shades of Green Ribbon Collection. 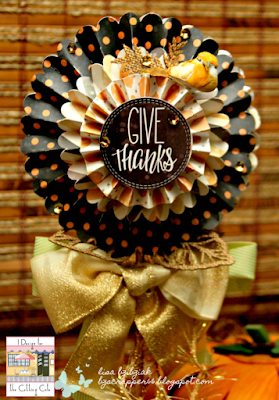 This ribbon is an upcycle... my coworkers always save me ribbons and other items from gifts they get because they know I love to re-use them rather than have them throw them out... it was perfect for this project! My initial plan was to make just the one sided flower, but I thought it would be cool to make it even more dimensional and so that both sides could show! Now, I can display it as a centerpiece and all the sides are pretty! 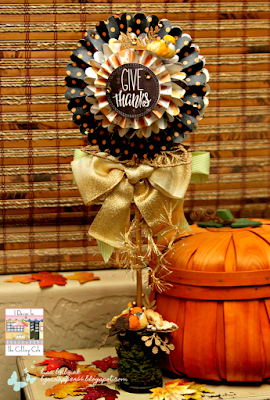 This chunky spool I picked up on clearance at Michael's last year was just right for the base. 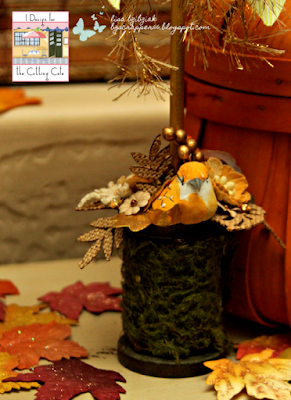 I added some birds, leaves, flowers, fibers, and sequins from my stash. It's as if these items were just waiting to be used on this project!! I think I might be getting in the mood for some Fall! Might have something to do with the 110 degree weather we're having here...lol! But also... soooo pretty! I am playing along over at the Outlawz Twisted Thursday Challenge... this week's optional twist is school supplies, but I'm just playing along with the Anything Goes portion of the challenge! So thanks for stopping here! 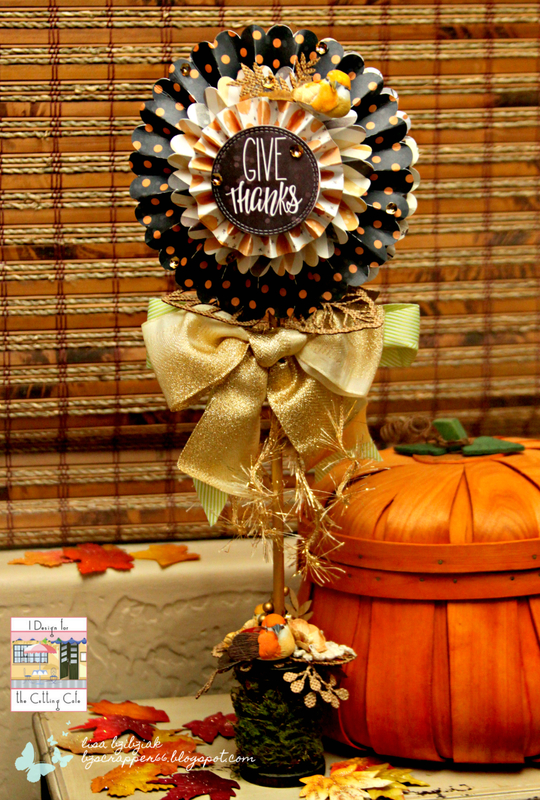 Be sure to head on over to the Cutting Cafe Blog to see what everyone has created using the Fun With Rosettes file! There are some pretty cool things you'll see. And while you're at the Cutting Cafe Blog, be sure to comment there for your chance to win three files of your choice! Come back tomorrow for some more awesome! Totally LOVE this project! 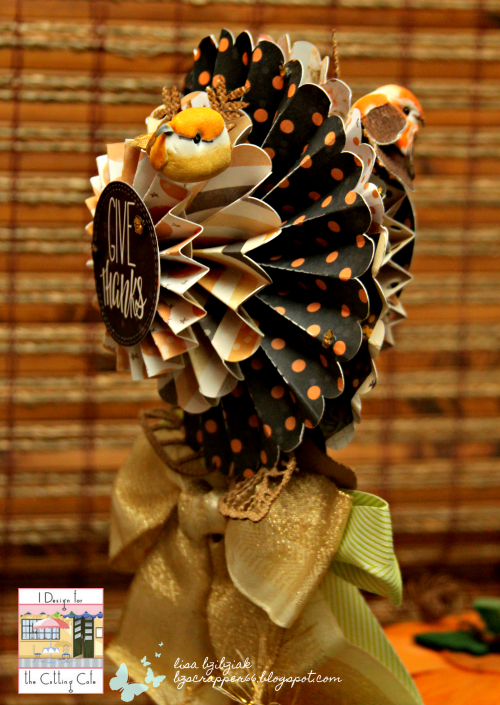 The Rosettes are beautiful and I love the cool base and bird! I don't think you guys even have Fall do ya??? LOL I'm heading down there in Oct. and it's still pretty warm at that time... I think your Fall is considered everyone's Winter! hahahaha - Yeah.. I think it's Fall for like 4 weeks then SUMMER the rest of the time! tehehehe I lived in AZ. for several years and that's what I remember anyway! 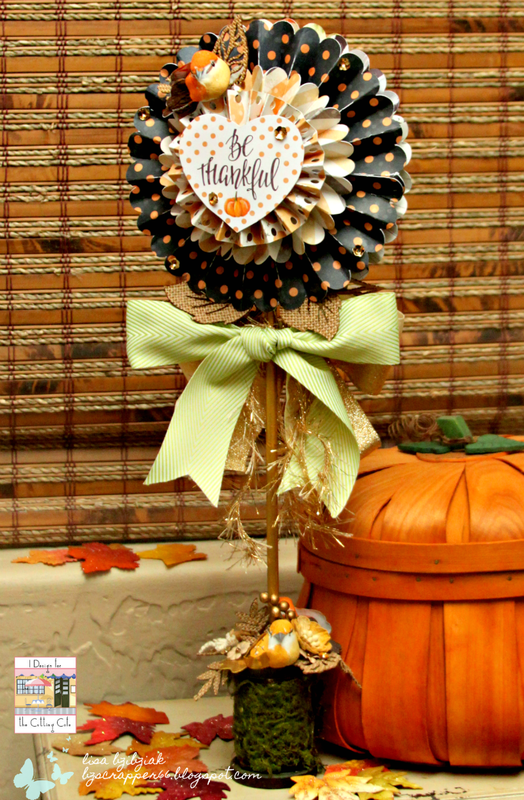 I'm feeling like I need to make some Fall/Halloween projects as well... We're at 103 today.... so it feels more like Fall to me too! LOL Have a great Day Sweet Friend! I love this project! It really turned out gorgeous! Ohhhhhhhh these are gorgeous! LOVING those rosettes and the bases are PERFECTION!!!!!!!! 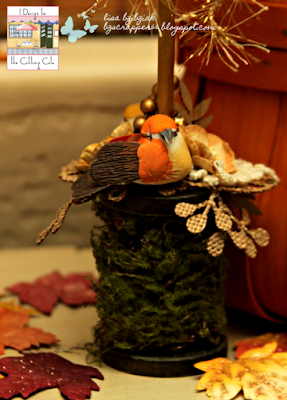 Gorgeous Fall creations to dress up the home. 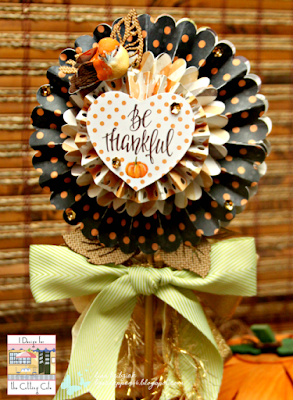 All are perfect with those wonderful colors and I love the rosette the way you used it especially. Thank you so much for entering the Twisted Thursdays Anything Goes challenge at The Outlawz Challenges this week. Looking forward to seeing you again in our next fun challenge. They are all beautiful. 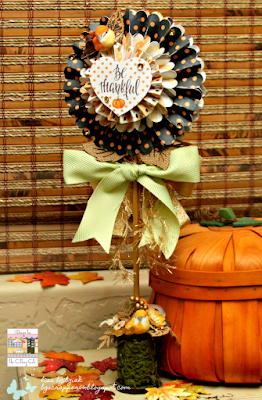 I love adding rosette to my crafting projects. Ink Road - What the Frapp! Paper Sweeties August New Product Sneak Peeks! Birthdays and Not Making a Big Deal! Caffeine Fueled Paper Play - Paper Sweeties! Cutting Cafe Inspiration-You're My Type!